Now, I know this is going to sound strange, but I have to tell you something: Not everything about setting up a blog is fun. I know, I know, crazy right? Some of the boxes you have to check off as you prepare your blog to go live (or update it's existing status) are dry, tedious, and sort of a snooze. 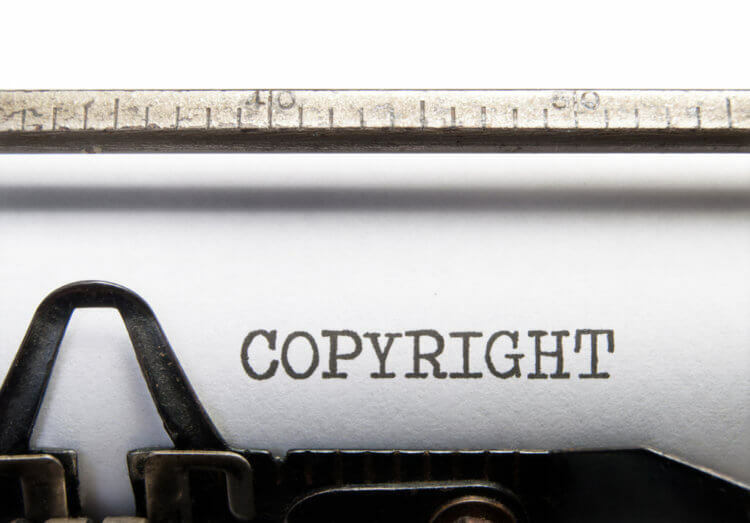 A copyright notice informs your readers or anyone visiting your site that your original work (written, photographed or otherwise) is protected by copyright. It allows visitors to contact you for permission to use your work, and essentially limits the possibility that someone who infringes your work could claim they didn't know you had a copyright. 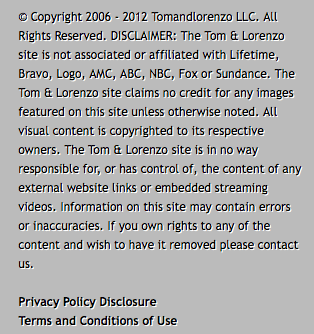 This notice should be visible to anyone, most likely at the bottom of site, on every page. The verbage usually includes the copyright symbol (“©”), the year of first publication (or post), and the name of the owner of the copyright (probably yours). Note too, that you can substitute the word “copyright” for the symbol if you like. For all of you blogging on WordPress.com, they've made their Term of Service available to all their platform's users (with a few simple adjustments). *Update* One of our commentors mentioned that you don't need a copyright notice to have your work be copyrighted. This is true, so just keep in mind that your original works are always protected, even if you do not post a notice on your site. Thank you Sarah! *Disclaimer: Information in this guide is based on general principles of law and is intended for information purposes only. It is not offered for the purpose of providing individualized legal advice. Use of this guide does not create an attorney-client or any other relationship between the user and IFB. Most information was pulled from Citizen Media Law Project. This is useful information, but I think you need to make it clear that just because you DON’T have a copyright notice doesn’t mean you’re not protected by copyright law. Once I hit “submit comment,” even this comment is protected by copyright regardless of whether I put a notice at the bottom. Also, adding a copyright notice doesn’t magically prevent people from copying your work and pasting it somewhere else without reference. That’s something I kind of wonder about…How would I know if someone out there has taken my pictures or text and used it somewhere else? And if I did find it, what would I do about it? Thank you for the comment Sarah! You’re right, and I made an update in the post to reflect your input. Best of luck with law school! This is something I definitely need to get going on. My blog has a ton of my own original photography and I’ve had troubles in the past with it being stolen. I’ll have to draft up a terms ASAP. To be honest, it is rather difficult to copyright images. Only on one occasion have I caught someone using my image as their blog banner (without even crediting me) and I told them to take it off. But God knows which site they got that image from, and so on and so forth. It’s like a domino effect. You can’t catch them all. I had an admin even block me from their fashion group when I told her to at least link my pictures to my blog if she was going to use them. 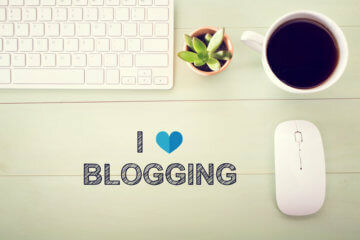 There is way too much to deal with when it comes to blogging. I would much rather focus on bigger copyright infringements (i.e using my image on a billboard or advertising) than give myself a headache chasing thousands of people on the world wide web. After working on the back side of my blog for most of the weekend, I wholeheartedly agree that everything about blogging is not fun but it must be done. As far as finding out who at least is using your text (Sarah’s question) over the weekend I also found out about something called Copyscape. It can be found at http://www.copyscape.com and you put your web address in the little box & it will show you all over the web where your words may have been copied. If I find something that does the same for images I will come back & let you all know. I will be honest, when I was a new blogger, I figured if it was on the internet as an image, I could use it. Now that I know better, I tend to try to take my own pictures or use the ones provided by my affiliate managers. Hope this helps at least protect your text. thanks for the copyscape info! I never considered any of the legalities of blogging until recently when Michelle Phan was being sued for copyrights issues. I’m so glad I always have this website to turn to with matters like these because I know there will always be an answer. will be back to read more, Please do keep up the fantastic jo.